St. Lawrence University is a private liberal arts college. The beautiful campus consists of 94 buildings spread across 1,000 acres of lush, green land! The university offers 36 majors and 39 minors to its undergraduate students. St. Lawrence University students can obtain the following degrees: Bachelor of Arts, Bachelor of Science, Master of Education, and Certificate of Advanced Studies in Educational Administration. St. Lawrence University’s colors are Scarlet & Brown and its mascot is the Saints. Athletics is a big part of the university culture! About 94% of students are involved in some kind of athletic activity. The university offers 32 Varsity Teams and over 25 clubs and intermural sports with men’s and women’s hockey competing at the NCAA Division 1 Level. 2,435 undergraduate and 93 graduate students were enrolled at St. Lawrence University in the fall of 2015. And in 2014, 63% of students took part in the university’s 25 off-campus Study Abroad programs located in 19 countries! 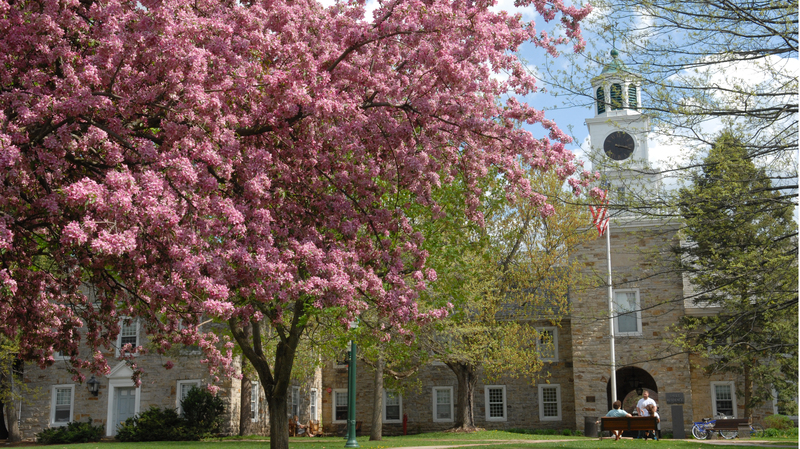 The First-Year Program (FYP) offered at St. Lawrence University is an outstanding feature of the college. The FYP creates an exciting first semester curriculum for incoming students that include both academic and residential programs. The focus of the FYP is to help new students acclimate to their new colligate environment by challenging them to think critically and become actively involved in their classroom and domestic experiences! One of the wonderful things about St. Lawrence is its intimate educational environment. With a student to faculty ratio of 11:1 and an average class size of 16, St. Lawrence creates an inviting and inclusive atmosphere for its students. Furthermore, with over 100 student clubs and organizations for students to join and over 99% of students living on campus, student engagement is high at St. Lawrence University! Students who decide to live on campus can choose between the 16 residential halls and 6 Greek Chapters available to them! The residential facilities vary from more traditional styled dorms to theme cottages and more. The theme cottages at St. Lawrence University are so much fun! Each cottage is uniquely designed for a specific group of students. For example, the Artists’ Guild Cottage promotes art appreciation and serves as a workspace where students can work with local and professional artists. The cottage also hosts the Festival of the Arts, poetry slams, and foreign film festivals! If you are looking for an inclusive and intimate yet challenging collegiate environment where critical thinking and active participation are fundamental values, then St. Lawrence University may be perfect for you!